Exist Archive: The Other Side of the Sky is a very good game, but it's also a game that takes a really long time to get to that point. It's a given that it might take an hour or two for a game to find its groove, but Exist Archive didn't click with me until around the 12 hour mark. If I wasn't reviewing it, I'd have moved on long before I reached that point. 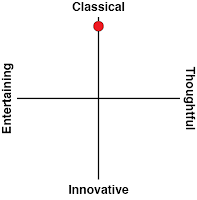 One of the major reasons for this is that there's an inordinate amount of time spent on a establishing the plot’s simple groundwork. After a string of freak accidents across Tokyo leaves 12 young people dead, they wake up to find themselves in a strange, alien world called Protolexa. As it turns out, they're hosts to the fragments Yamatoga, a god-like being who once tried to destroy that world but was defeated by his twin, Amatsume. With both gods weakened from their conflict, Protolexa’s been overrun with monsters, and if they ever want to get home, the kids need to use their newfound power to help restore balance. That’s a fairly straightforward introduction, but it takes Exist Archive a good 10 hours to get across it. It's the background to a much more interesting story about death and grief, but it takes so long to get to that point that it's hard to see the light at the end of the tunnel. Slow placing isn't necessarily a bad thing (try arguing that the first dozen hours of Persona 4 is representative of the whole game, for example), but Exist Archive doesn't use that time to develop its characters or build its world much, either. It just treads water on a prologue that shouldn't take more than an hour if two. The game's combat system has the the opposite problem: you're thrown into the deep end of something quite complex with almost no guidance. 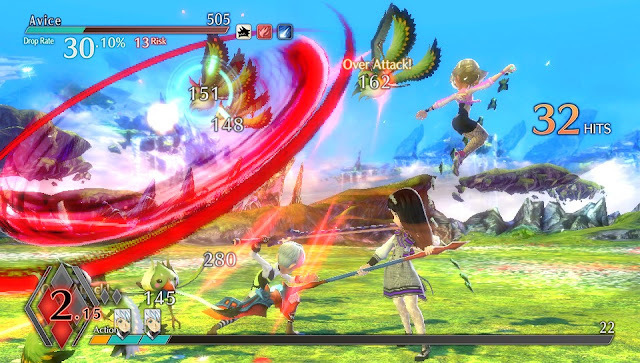 Battles are turn-based, but instead of each character having their own turn, you control the whole party at once,with each member assigned to a specific button. A shared resource called AP determines how much you can attack, but it's up to you how you spend it. The complexity comes from choosing how best to maximize damage output within a very open combo system. With the right sequence of attacks, you can build a 100+ hit combo that destroys a whole group of enemies at once, but there are lot of factors to consider: different attack timings, launch and knockdown effects that can make subsequent attacks miss, the range of different attacks, and some enemies' ability to block and counter. It's very easy to break a combo and waste precious AP, but small, safe combos are slow and inefficient. There's a lot of depth to the system, but you're not really given a chance to get acquainted with it before enemies start hitting start hitting like trucks. Defensive options early on are limited and largely ineffective, and foes tend to come in large groups, so quickly cutting their numbers is a necessity. Without a chance to learn the ins and outs of the battle system, though, it's difficult to build the sort of efficient offence that Exist Archive demands. This is made worse by a number of other issues. Items are your only source of healing early on, but you can't buy them until much later, leaving farming as the only alternative – and you’ll need plenty. There are a lot of options for spending each character’s skill points when they level up, but vague descriptions make it hard to know what's going to be useful and what’s a waste of time. Your group regularly finds new members in those first few hours, but the battle system discourages experimenting with them, because once you have a combo that works well, you want to stick with it. If you're paying on PS Vita, there are the added frustration of lengthy load times even for simple things like opening the menu or battle transitions, and – in my experience, at least – frequent crashes in a game that’s really stingy with save points. Basically, Exist Archive is far too tedious for far too long, and I wouldn't blame you for giving up after a few hours. If you can stick with it, though, you'll eventually find the fantastic game that’s hidden away. Once you start to break through the fog and figure out how to get the most out of it, the battle system becomes fascinating. When you're comfortable with the underlying combo mechanics, and when you have some decent healing spells to mitigate the damage from any mistakes, experimenting with different party setups and optimizing combos for different situations is exciting. Seeing the products of your labour in triple-digit combo counts and huge damage numbers is incredibly satisfying. A class-change system unlocked later opens up combat and character development even more, and dramatically improved skill point acquisition limits the potential harm of a bad build. The the 2D platformer-style exploration side of the game also starts to grow around that 10 hour mark as you unlock new field abilities, Metroid style. Things like double jumps and slides let you reach previously inaccessible areas, and level design incorporates these new skills wonderfully, so just getting from A to B becomes exciting. Revisiting old zones, which you often need to do, goes from tedious to exciting because there’s a wealth of stuff to find that you couldn’t reach before. Most importantly, when it gets moving, the story becomes captivating. As a side effect of their quest to find their way home with the help of warring gods, the heroes often get visions of what of how their loved ones are coping with their deaths. It offers a fascinating exploration of the ways people deal with grief. What would people say about you after you died? What would you do if you could hear them? These are the sorts of questions that Exist Archive poses. Through each character's individual circumstances, the game also looks at the complicated relationships that can exist within families. One character, Mitsuhide, is constantly grappling with the weight of (grand)parental expectation, and the self-esteem problems that can come with that – he feels like no matter what he does, he’s never good enough. Ren, on the other hand, has a father who’s so caught up in his work that he seems to barely notice his kid. Thanks to her amnesia, Mayura is oddly disconnected from parents who clearly love her a great deal. Each character has their own quirks and their own issues to work through that are poignant and surprisingly grounded. As heavy as that sounds, it's laced through with the kind of silly humour that's typical of JRPGs, which goes a long way to lightening the mood. 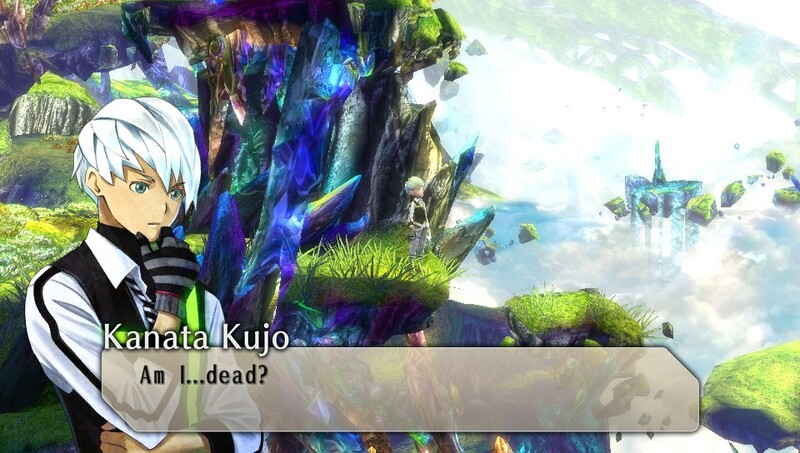 The conclusion Ren draws upon waking up on Protolexa is that he’s somehow found his way inside a video game, and that he’s the hero, giving Exist Archive some hilariously self-aware moments. The friendships that grow between the kids are sweet and often funny, opening the door to some great character moments. It all helps to balance out those darker elements, giving them weight through contrast and keeping the game from falling into the trap of being too overwhelmingly depressing. Topping it all off is an excellent localisation job. It’s always nice to be able to praise the English voice acting in a JRPG instead of cringing, and Japanese audio is included for those who’d still prefer that. The score has the energetic, layered sound that’s a signature of composer Motoi Sakuraba, which is a great fit for the otherworldly setting, and the art direction is just beautiful, even with the technical limitations of the PS Vita. 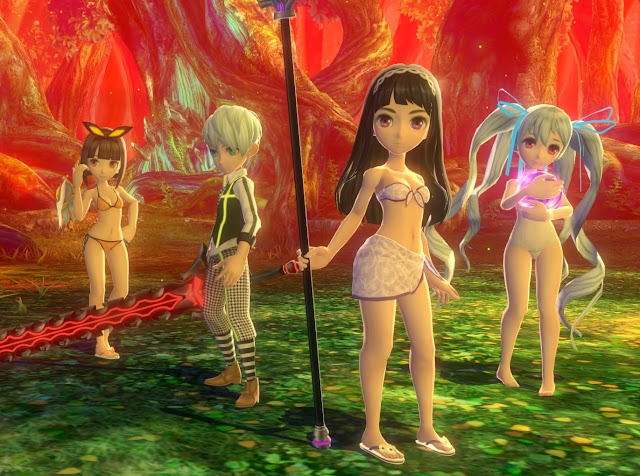 For all its early-stage failings, Exist Archive is an excellent game once it finds its groove. As long as you go in knowing what to expect and knowing it will get better eventually, it's a game I'd recommend to anyone who likes JRPGs.